Liv. 52 tablets, manufactured by The Himalaya Drug Company are a specialized herbal formula containing different valuable herbal ingredients such as Himsra (Capparis spinosa) and Kasani (Cichorium intybus) extracts which are suitable for the healthy development of the liver. The liver is the largest internal organ in the human body and therefore, it is imperative that the functioning of the liver proceeds in a smooth manner without any complications. Liv. 52 tablets support the normal working and maintenance of the liver cells, while its antioxidant characteristic aids in preserving the stability of liver cells. Liv. 52 tablets. Liv 52 is the international brand name. Liv. 52 tablets are sold in the US markets under the name of LiverCare tablets. Liv. 52 tablets, available in our online pharmacy are manufactured by The Himalaya Drug Company. (Website: www.himalayawellness.com). Each bottle of Himalaya Liv. 52 tablets sold at our online pharmacy contains 100 tablets. We also retail Liv. 52 tablets in bottles containing 200, 500, and 1000 tablets each. Liv. 52 tablets contain a unique composition of different herbal ingredients. Each Liv. 52 tablet contains Himsra (Capparis spinosa) 65 mg, Kasani (Cichorium intybus) 65 mg, Mandur bhasma 33 mg, Kakamachi (Solanum nigrum) 32 mg, Arjuna (Terminalia arjuna) 32 mg, Kasamarda (Cassia occidentalis) 16 mg, Biranjasipha (Achillea millefolium) 16 mg, Jhavuka (Tamarix gallica) 16 mg.
What are Liv. 52 Tablets Used For? Liv. 52 tablets, manufactured by Himalaya, contain different herbal ingredients such as Himsra (Capparis spinosa) and Kasani (Cichorium intybus) extracts which are indicated in the treatment and prevention of viral hepatitis C. Liv. 52 tablets are used to treat alcoholic liver disease and hepatitis which has developed due to the ingestion of drugs. Liv. 52 tablets are typically administered as oral therapy for pre-cirrhotic conditions and early cirrhosis. Liv. 52 tablets are used as an adjunct drug during the process of hemodialysis. Liv. 52 and Fatty Liver Conditions: Liv. 52 strengthen the functions of the liver to effectively burn fats and to treat fatty liver conditions that have developed as a result of alcohol consumption or high-fat diet. Liv. 52 tablets act as effective dietary supplements resulting in a significant improvement in particular symptoms such as protein energy malnutrition and decrease in appetite. Liv. 52 for treatment of Liver Damage: Liv. 52 tablets are also beneficial for the treatment of liver damage which has developed due to radiation and chemotherapy. Liv. 52 tablets are also concomitantly used with hepatotoxic drugs during convalescence and prolonged illness. Liv. 52 in Pregnancy: Liv. 52 tablets are recommended as therapy for the treatment of jaundice and anorexia during pregnancy. Liv. 52 for Weight Loss: Liv. 52 tablets can be used for effective weight loss because it induces the liver to regulate fat metabolism and the removal of excess fat from the system in the bile. Liv. 52 in Bodybuilding: Bodybuilders who use “prohormones” simultaneously administer Liv. 52 tablets as an effective liver detoxifying supplement. Liv. 52 tablets efficaciously clean up the liver since athletes and bodybuilders consume up to 5 times the normal amount of protein consumed in a regular diet. Protection of liver is essential for bodybuilders who are on a steroid cycle of heavy androgens to build their muscular strength. The unique combination of herbs in Liv. 52 tablets strengthens the liver against these heavy steroids and helps in the regeneration and healthy functioning of the liver. Liv. 52 Dosage - How to Take Liv. 52 Tablets? You should use Liv. 52 tablets exactly as recommended by your doctor. Your doctor may suggest a dosage of Liv. 52 tablets depending on the severity of medical condition, body weight, other medical conditions, and current medications. Liv. 52 tablets should be swallowed with a glass of water, if possible with meals. Try to maintain a regular schedule for the medication such that you take Liv. 52 tablets at the same time every day, to get the maximum benefit of the medication. You may be instructed to take 1-2 Liv. 52 tablets twice a day. Your doctor may alter the dosage of Liv. 52 tablets and dosage period depending on the type and severity of your medical condition and your response to treatment. The recommended dosage of Liv. 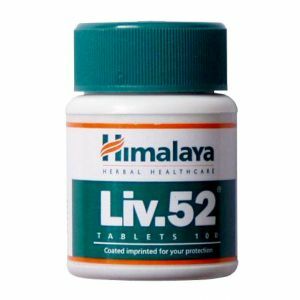 52 tablets for the treatment of enlarged or fatty liver conditions is two tablets twice daily, followed by a maintenance prescription of one Liv. 52 tablet twice daily. The recommended daily dosage of Liv. 52 tablets for the general maintenance of healthy liver is 1 tablet twice a day with a full glass of water, administered preferably before meals. When Liv. 52 tablets are used concomitantly with other hepatic drugs to treat liver diseases, the recommended dose is 2 Liv. 52 tablets along with a glass of water twice a day. The optimal recommended dosage for the increase in appetite is 2 Liv. 52 tablets administered twice daily along with a glass of water, preferably 30 minutes before meals. Liv. 52 tablets are also used as dietary supplements by bodybuilders as a detoxifying agent during a steroid cycle. Bodybuilders and athletes are usually instructed to use Liv. 52 tablets before, after, and during the steroid cycle to reduce the stress on the liver from the usage of oral (Anadrol, Dianabol, Halotestin, Methyl Test and Cheque Drops) and injectable (Testosterone, Winstrol, and Trembolone) steroids and to avoid the blood level of liver enzymes from reaching dangerous limits. Weight lifters and bodybuilders are usually advised to start the treatment with 3 Liv. 52 tablets twice a day 30 minutes before meals, at least 4 weeks before the commencement of the pre contest steroid cycle. During the cycle, it is advisable to use 12 to 18 Liv. 52 tablets every day administered in 4 equal doses 30 minutes before meals, depending on the type and dosage of steroids being used. This dosage can be reduced to 9 to 12 Liv. 52 tablets per day after the suspension of oral steroids during the cycle. After the end of the cycle, bodybuilders are usually advised to maintain a dosage of 9 Liv. 52 tablets per day for about 8 to 12 weeks. Liv. 52 Mechanism of Action - How Does Liv. 52 Work? The strong antioxidant property of Liv. 52 tablets makes it a potent detoxifying agent which counteracts the different types of toxins and poisonous substances present in water, food, air and medications. Treatment with Liv. 52 tablets control the hepatic enzyme levels, improve absorption and enhance the functional effectiveness of the liver. Liv. 52 tablets rehabilitate the functional efficiency of the liver by shielding the hepatic parenchyma from damage and supporting the advancement of liver cell regeneration. Liv. 52 tablets enables quick removal of acetaldehyde, the toxic intermediate metabolite that is formed as a result of alcohol metabolism, and guarantees safety from hepatic damage which arises a result of alcohol consumption. Liv. 52 tablets reduce the lipotropic activity in patients suffering from chronic alcoholism, and averts the permeation of fats into the liver. Liv. 52 tablets maintain the normal levels of serum cholesterol, lipoproteins, phospholipids, and triglycerides through its cholesterol-controlling action. In pre-cirrhotic circumstances, Liv. 52 halts the development of the disease and inhibits further liver impairment. As an everyday health enrichment tablet, Liv. 52 tablets enhance appetite, the digestion and assimilation processes, and stimulate weight gain. The different herbal ingredients in Liv. 52 tablets have diverse liver effective functions. Himsra acts a hepatic stimulant which enhances the efficiency of liver functions. It also maintains the structural integrity of the liver and has beneficial effects on the liver glycogen and serum proteins. Kasani is another haptic stimulant and potent antioxidant which improves bile secretion, stimulates digestion, and heightens the effect of Himsra. It is also known to inhibit DNA damage which develops as a result of free radicals. Kakmachi aids the smooth functioning of the liver, skin, kidneys and bladder. It also protects the liver by its inhibition of oxidative degradation of DNA. Arjuna assists the smooth functioning of cardiovascular system. Kasamarda acts as an effective purgative which induces regular bowel movement. Biranjasipha maintains normal digestive and urinary functions. Jhavuka contains an alkaloid which help in the effective treatment of hepatic insufficiency. If you miss your regular dose of Liv. 52 tablets, take it as soon as you remember. You can continue you regular schedule the next day. If you remember the missed Liv. 52 tablets the next day, take your regular dose and skip the missed dose. Do not take a double dose to compensate the missed dose of Liv52. Store the bottle of Liv. 52 tablets at room temperature (20 - 25°C), protected from heat, moisture, and sunlight. Retain the original packing of the medication and do not consume Liv. 52 tablets beyond its expiration date printed on the bottle. Keep the bottle of Liv. 52 tablets away from the reach of children and pets. Do not discard Liv. 52 tablets along with domestic waste or sewage. Consult your doctor or pharmacist about the correct method of disposal. The treatment with Liv. 52 tablets administered strictly according to the prescribed dosage is not known to result in the development of any side effects. Make sure that you avoid an overdose of Liv. 52 tablets. You can buy Liv. 52 tablets online from Clear Sky Pharmacy. The pills are supplied in a bottle of 100 pills in quantities of 200, 500, and 1000 tablets. 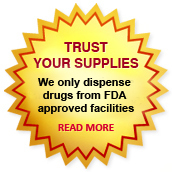 The cost of each tablet is only $0.07 each when you place an order for 1000 pills.